Home News EBA Biogas Report 2014 is published! 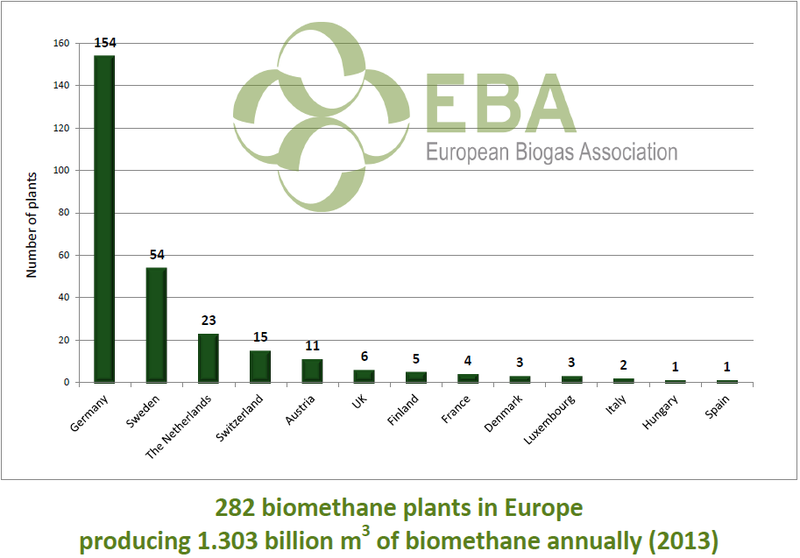 EBA Biogas Report 2014 is published! 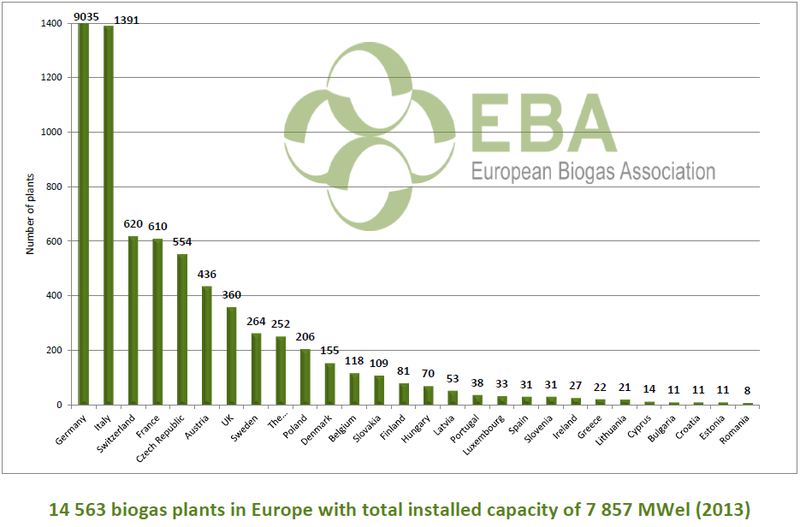 EBA has published the newest Biogas Report 2014 this week. The report contains excessive data on biogas and biomethane industry in Europe including numbers of biogas plants, annual biogas and biomethane capacities in 2013, as well as detailed overview of future policies and opportunities across Europe. “The combined amount of electrical and thermal energy produced today from biogas in Europe corresponds to the annual consumption of the households in Belgium and Slovenia put together. Such a production could replace 15 coal power plants with an average capacity of 500 MWel” – are some of the conclusions of the recently published Biogas Report 2014, by the European Biogas Association (EBA). However, stagnation is observed in some of the biggest biogas contributors, such as Germany and Italy – and the forecasts are not bright for the rest of the Europe either, as crucial changes in support schemes are expected or are taking place already. EBA will further work to ensure continuous growth of the biogas-based energy in the whole continent, as it is extremely important for Europe’s energy security and decarbonisation. According to the recently published EBA Biogas Report, there are already more than 14 500 biogas plants in Europe and the number is still growing. In the centre of attention in 2013 were central European countries: Hungary, the Czech Republic, Slovakia and Poland where an increase of 18% in the number of biogas plants in the region was recorded. Other key biogas producing countries, such as the UK, France and Sweden, continue to develop on a steady rate over several years already. The concerns are mainly related to the foreseen changes in support schemes across Europe. The Czech Republic and Cyprus already ceased support for biogas plants, while German and Austrian biogas plant operators are facing local caps. “The biogas industry is facing tremendous policy changes, and it is our responsibility to provide you with the most reliable data to support our member associations to do political work in your home countries, to support our scientists in their research on new technologies, and to support our companies with updated information. EBA Biogas Report 2014 is here to support the work of all of you” – said Jan Štambaský, the President of EBA – “the dramatic change which started with the German Renewable Energy Act EEG 2012 continues to hamper the industry. On the other hand, the biogas industry is increasing in the other parts of Europe – UK, Italy and Denmark, and we hope that the rest of Europe will follow these positive developments”. The Biogas Report 2014 is available for members only in the members area, however interested parties can purchase it by getting in touch with our office in Brussels.